Keep you and your family safe! The Skin Cancer Foundation recommends window tint as part of a comprehensive sun protection program. By cutting out excessive glare to the eyes and cancer-causing rays to the skin, passengers are protected from the harmful effects of the sun. Protect your investment and save money! By cutting down unbearable heat, these window films cool the vehicle more efficiently in the winter and help to retain heat in the winter time. This helps to significantly reduce fuel consumption. Heat and AC require a lot of power and by tinting your windows you can save up to 20 percent of your fuel cost! Protect your privacy! 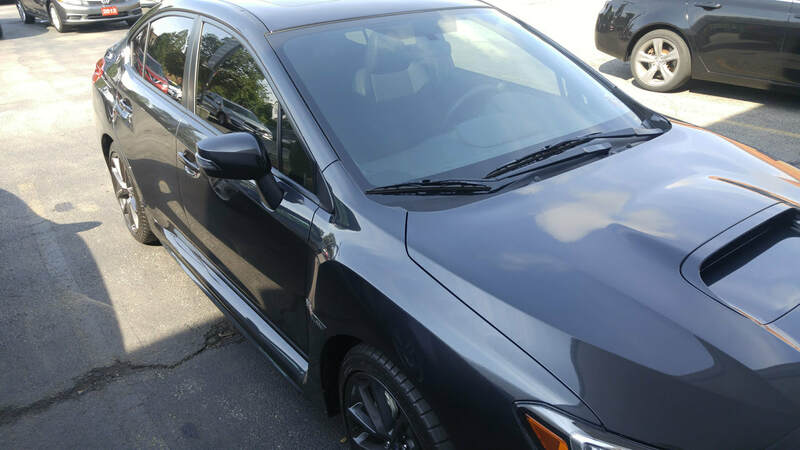 Tinting your windows is one of the best ways to prevent break-ins and stop potential thieves from identifying your vehicle as a potential target. If they can't see your valuables and possessions then they won't be looking to take them from you! 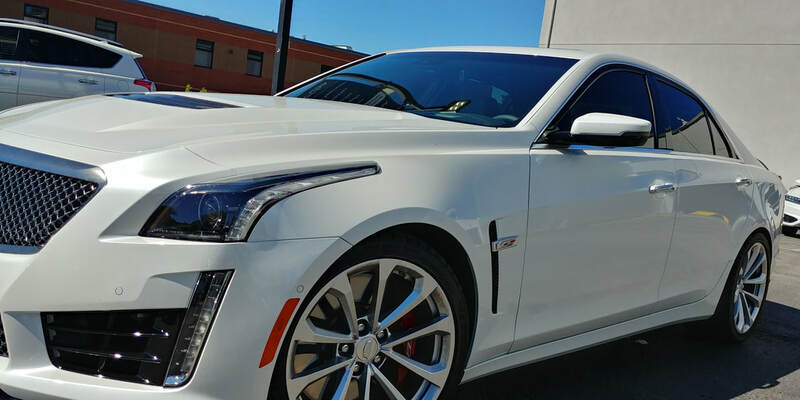 ​At Tint Shield, we offer a full line of autobahn™ Powered by Huper Optik window film products to satisfy your needs. Whether you’re looking for a classy subtle tint or colour stable blackout, we've got you covered with our industry leading performance products. By coming to us, you will have the satisfaction and peace of mind that comes with industry leading performance and service excellence. We back every one of our installations with our unmatched lifetime warranty and guarantee. No one does it better! ​Huper Optik window films have been leading the industry for nearly 20 years. Our autobahn™ product line includes Huper Optik advanced films that boast a proven track record of performance, durability and clarity. We offer the best performing films available in the industry, and it's not even close! Our films are tried and true and have stood the test of time. 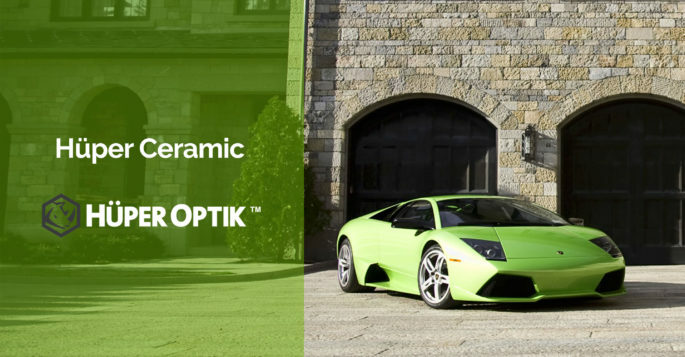 Huper Optik Patented Nano-Ceramic technology is the first and only true ceramic film with over 15 years of history, performance and durability. When it comes to quality we can't be beat! In addition to industry leading quality and performance, we offer the most comprehensive warranty program available on the market. What sets autobahn™ apart from all other window films is our hassle free, transferable, lifetime warranty. Customers enjoy the peace of mind in the knowledge that any cracking or crazing, blistering, bubbling, peeling, demetalizing and delamination when installed by an authorized autobahn™ dealer will be replaced at absolutely no charge. Your satisfaction is guaranteed! 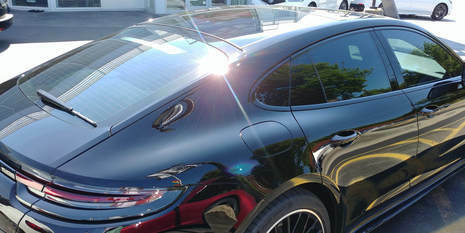 ​Clearly the window film of choice, Autobahn® nano-ceramic films exceed expectations with their superior performance. By cutting down unbearable heat, Autobahn® films cool the vehicle more efficiently and reduce fuel consumption. Occupants are also protected from the harmful Ultra Violet rays to the eyes and skin. In addition to improving the overall comfort of your ride, the high performance films offer fade control and extend the life of the vehicle’s interior as well. 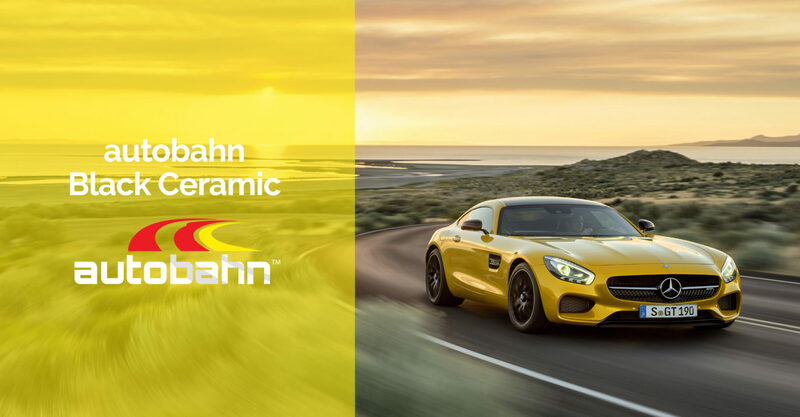 Autobahn® powered by Huper Optik brings you the world’s first and advanced multi-layered ceramic-coated films. While most conventional films offer limited heat rejection, Autobahn® powered by Huper Optik nano-ceramic films give you superb heat rejection, low reflectivity and unsurpassed durability. Huper Optik Patented Nano-Ceramic technology is the first ceramic film of its kind with over 15 years of history, performance and durability. No one else can say that! Titanium nitride is an extremely hard ceramic material, often used as a coating on titanium alloys, steel, carbide, and aluminium components to improve the substrate’s surface properties. By using this patented technology in their window film, Hüper Optik Ceramic films enjoy 3x more infra-red rejection (IR) than dyed film, 4x less reflectance (VLR) than metalized film, 13˚c cooler compared with untinted windows, all while being 25x more durable than conventional films. Hüper Ceramic films are the first and only patented nano-ceramic film of its kind. What sets autobahn™ apart from all other window films is our hassle free, transferable, lifetime warranty. Customers enjoy the peace of mind in the knowledge that any cracking or crazing, blistering, bubbling, peeling, demetalizing and delamination when installed by an authorized autobahn™ dealer will be replaced at absolutely no charge. 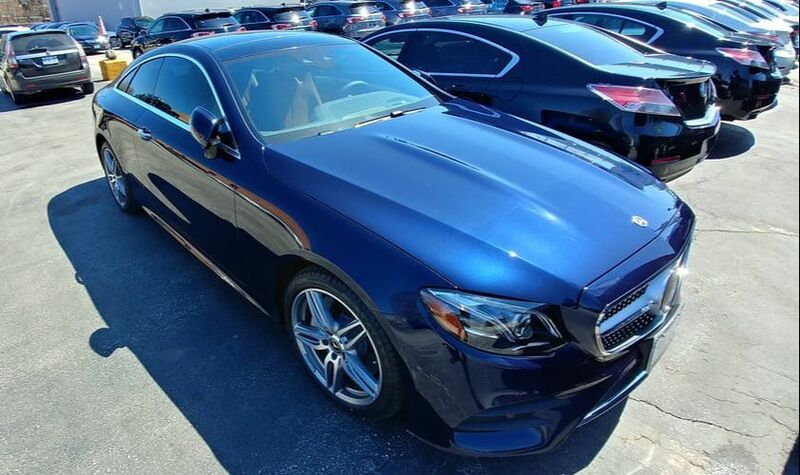 autobahn™ Black offers a sophisticated style through a blend of aesthetics and value in mind. Black is a colour-stable deep-dyed film – second to none in colour stable dye technology on the market. Of course Black also causes no interference with radio frequencies or electronic control systems. 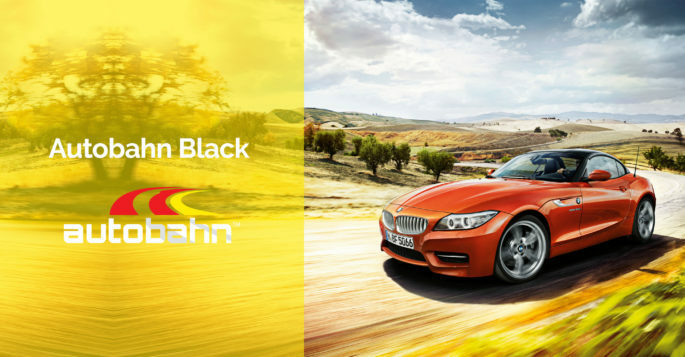 Autobahn™ Black starts with the highest quality base polyester available giving it a truly black appearance. You have to see it to believe it. Who is autobahn™ Black made for? These window films are made with the budget conscious automotive customer in mind. 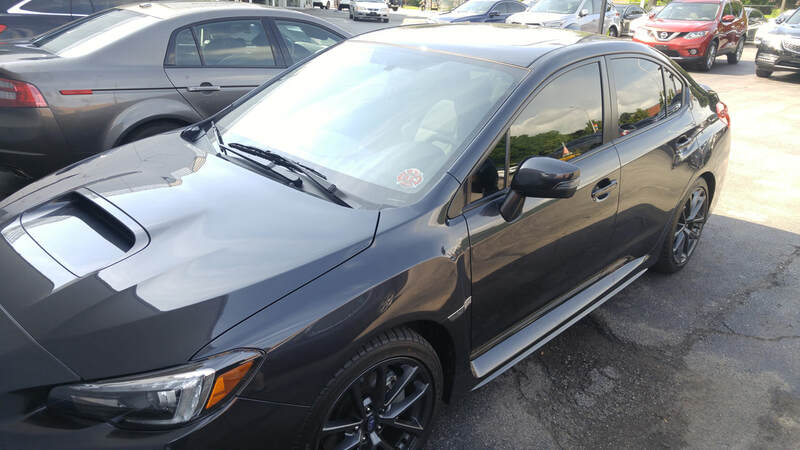 If you are looking for an option to go dark with your tint and achieve a stylish, modern, blacked out look, this is a really great choice. Other films on the market begin life with blue, green, or brown bases, so they never achieve a rich a satisfying black like autobahn™. Read on for the full specs to compare the performance indicators of each shade. ​What sets autobahn™ apart from all other window films is our hassle free, transferable, lifetime warranty. Customers enjoy the peace of mind in the knowledge that any cracking or crazing, blistering, bubbling, peeling, demetalizing and delamination when installed by an authorized autobahn™ dealer will be replaced at absolutely no charge. Do not roll your windows down for 3 - 5 days during the spring and summer months (5 – 10 days during the winter). We place the film down behind the window weather-stripping but it needs time to adhere to the glass and the water to dry. Do not clean windows for 30 days. Must be tint-safe, ammonia-free glass cleaners or mild detergent and water using a soft microfiber cloth. Complete dry-out time, including trapped moisture, water bubbles and cloudy-look take as long as 30 to 60 days after installation to dissipate. Do not use anything abrasive when cleaning the film. Paper towels are fine but do not use any type of scouring pad. Do not use any window cleaners with ammonia. The best cleaner (and least expensive and healthier) is to use a couple of drops of baby shampoo or dishwashing liquid in a spray bottle. For optimal results consider using Autobahn Premium Glass Cleaner as it is specially designed to maximize the longevity and performance of our window films. Do not let go of your seatbelt when you remove it. If you let go of your seatbelt as you remove it sometimes when it recoils it can hit the window and nick the film. Remember, the film needs time to dry and adhere to the glass therefore it may have some slight distortion and cloudiness which will eventually disappear once the film has completely cured. Do not roll your windows down for 3 - 5 days during the spring and summer months (5 – 10 during the winter). We place the film down behind the window weather-stripping but it needs time to adhere to the glass and the water to dry. Hüper Optik Ceramic: Ceramic window film offers durability beyond other films. The stable construction avoids delamination or discolouration for the life of the warranty. This cutting edge technology provides remarkable heat rejections performance and cool European styling. Ceramic window film reduces glare to improve your driving visibility and reduces fading of your interior. Who is Hüper Optik Ceramic made for? 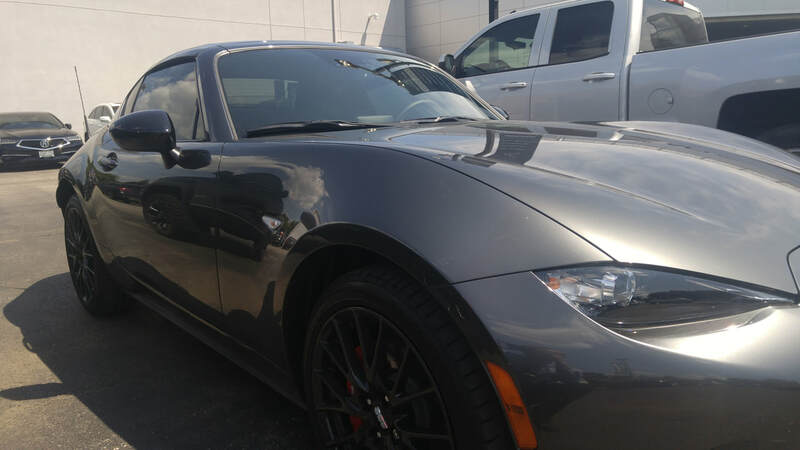 If you are looking for a window film that will match the aesthetic of your sports car or luxury vehicle, autobahn™ has what you need. You will also enjoy increased heat rejection and reduced glare compared to competing products at this price point. Read on for the full specs to compare the performance indicators of each shade. Canada window film laws are different in each province. This section provides relevant information about laws regarding the installation of window film in Ontario. [...] any window to the direct left or right of the driver’s seat [...] substantially obscures the interior of the motor vehicle when viewed from outside the motor vehicle. 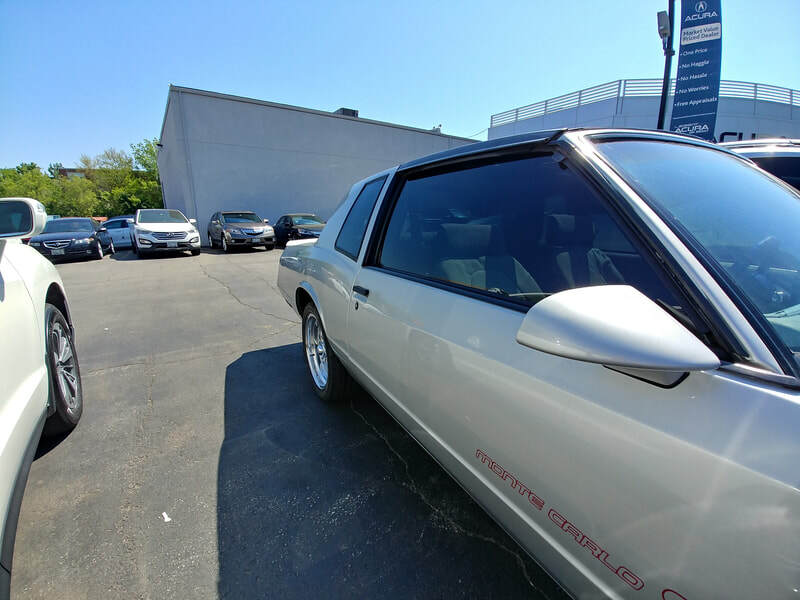 Therefore, It has historically been up to an individual police officer to determine whether your tint “substantially” obscures vision in your car. The acceptable gradient of visible light transmission that meets this subjective requirement has generally been interpreted as 35% VLT (65% opacity/light block) in Ontario. 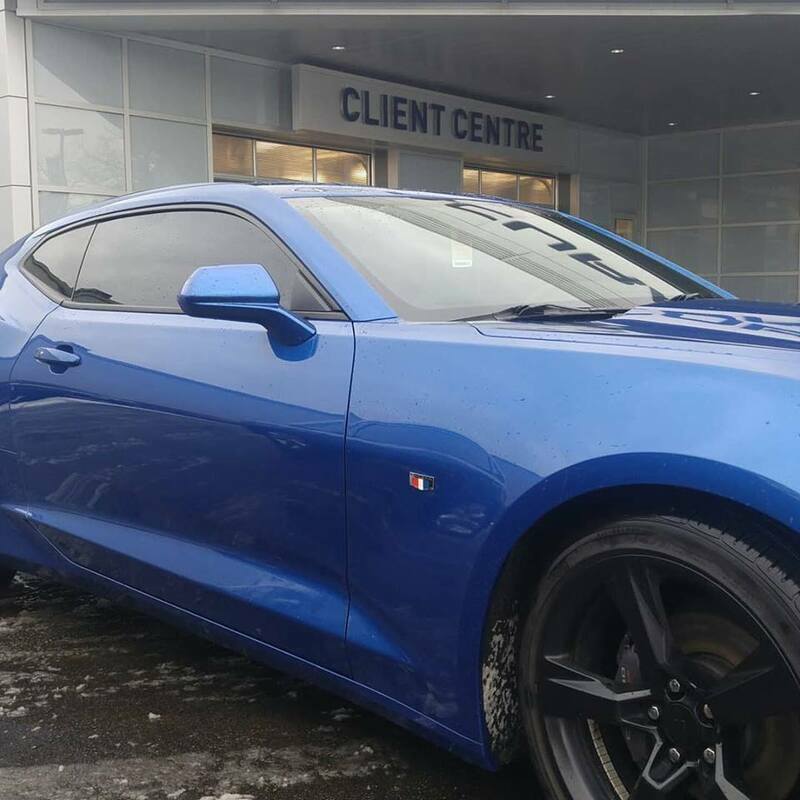 ​New Ontario vehicle inspection regulations state that cars manufactured after January 1st, 2017 may not have any aftermarket window tint applied to the windshield. OEM (Original Equipment Manufacturer) or factory-made cars can have 30% VLT (70% opacity/light block), and tinting may not extend more than 75mm from top of windshield. 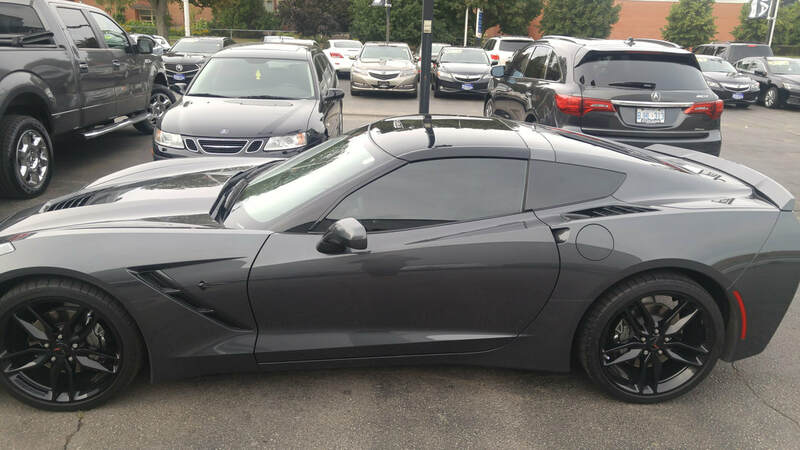 Ontario law does not restrict tinting and darkness on your back side windows and rear window. Reflective tint is not allowed. 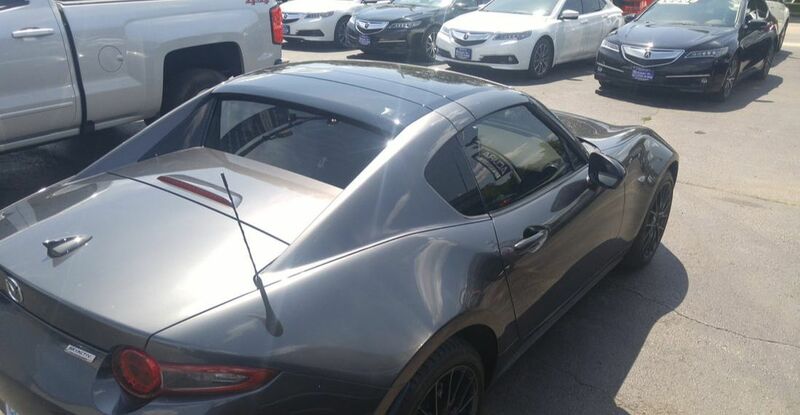 Ontario’s traffic law also requires having left and right external rear view mirrors in case rear window is tinted (sec. 74.2). 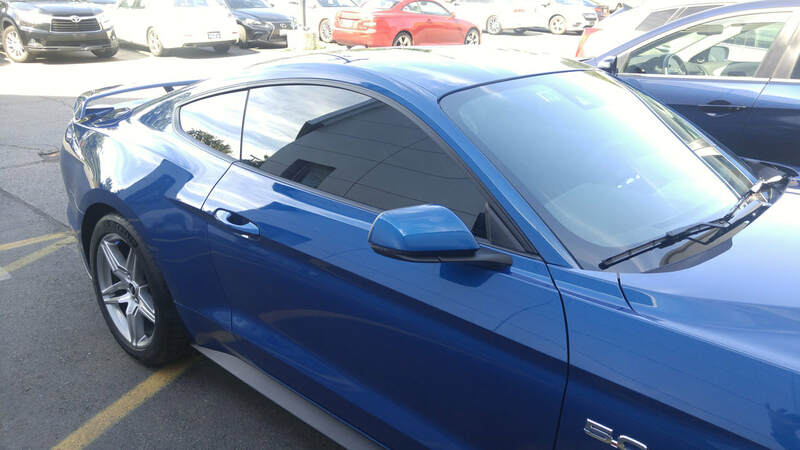 Highest quality window tinting in Burlington, Ontario.